This hotel once consisted of five houses - three at the front and one at each end. 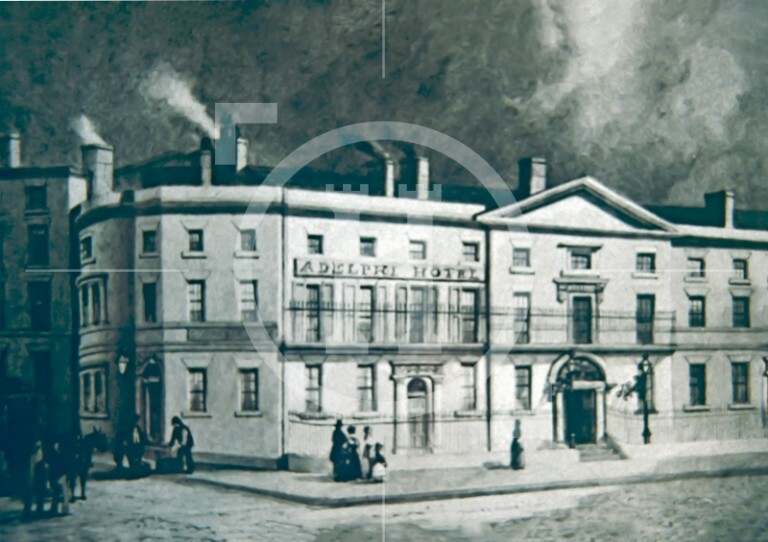 Two houses at the north end had just been converted into the hotel when this drawing was made in 1831. Eventually the whole block was incorporated and additions made.